For those who are keeping up with this Advent Blog, you may have noticed that I waited to post the Second and Third Sunday's of Advent together. Last Sunday, December 9th, was the second Sunday of Advent. Last Sunday we lit our second purple candle on the Advent wreath, the candle known as the Bethlehem candle that symbolizes Love. This candle is a very important one, for it is meant to remind us of the difficult journey Joseph and Mary made to Bethlehem to conceive baby Jesus. 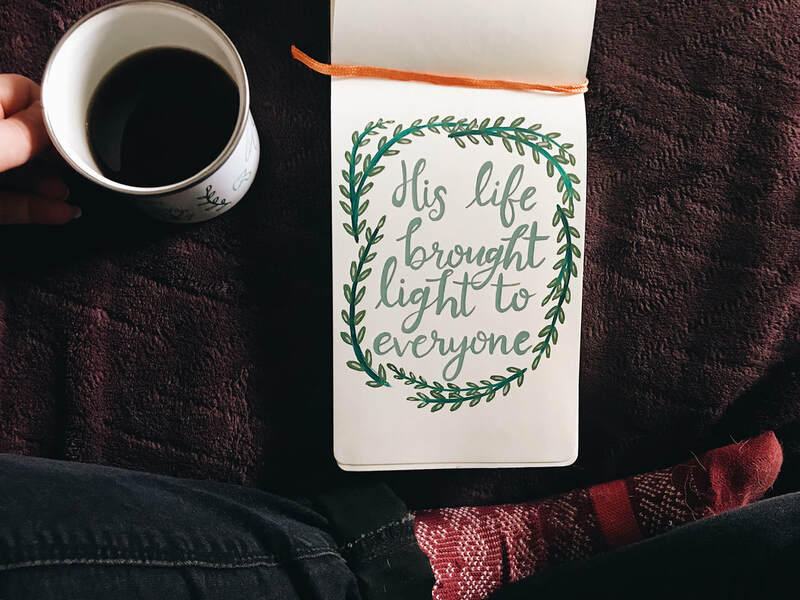 When I re-read the scripture that notes their journey to Bethlehem and thought about the descriptive story from my childhood, I was able to look at it from a more in depth perspective. Mary and Joseph completely put their lives in God's hands. Joseph and Mary gave up their hearts, minds, and souls to fulfill God's plan; not to mention Mary allowed her body to be used to conceive the Messiah. If Joseph and Mary's commitment and love for each other and God wasn't great enough, the pure and immense love they had for their soon-to-be son was immeasurable. I don't know that I've ever really looked into how far they traveled to get to Bethlehem to ensure that's where Jesus was born. Breaking it down to the simplest of terms, they journeyed 160 kilometers (approximately 99 miles) through desert valley's, rocky hillsides, and oliver groves. Imagine loving your future child and God so much that you were willing to make such a journey in the final stages of pregnancy...I certainly am impressed to say the least, and what a beautiful love it is that Joseph and Mary shared for Jesus before He was even born. After lighting this second candle on the Advent wreath, I hope you all made/make a conscious effort to hold your loved ones close and to tell them how much you love them, especially during this Christmas season, but all the time as well. Today, December 16th, we light our third candle on the Advent wreath, the rose candle. This candle is known as the Shepherd's candle and symbolizes Joy. The rose color for this Sunday's candle is significant because rose is the liturgical color that symbolizes Joy. In my church, our Pastor always picks a family at his masses to come up and light the Advent candles, which I think is a really beautiful and special way for families to come together to celebrate the Advent season. This third candle made me look more in depth about how the Shepherd's play a significant part in the nativity. In scripture it details how, like Mary and Joseph, an angel appeared to them, and expressed the Great News that the Messiah was born in Bethlehem. The Shepherd's, although probably confused and in shock, could not deny their need to go see this newborn Messiah for themselves. They set out with their flock of sheep to find baby Jesus, wrapped in swaddling clothes, laying in a manger just as the angel had told them. Imagine their excitement and pure joy in this moment. Especially since in that time shepherd's were looked at as lowly and insignificant people, the fact that they were some of the first people to pay homage to Jesus just after his birth was a great honor. As we light this third Advent candle, let us all remember the rejoicing that comes with this Christmas season. Rejoice and give thanks for the blessings and people that have filled your life with joy. Last year for the Christmas season, I tried my hand at blogging with the "Christmas Through My Eyes" blog. It got more positive feedback than I was anticipating, and I thoroughly enjoyed sharing my favorite parts of the Christmas season with you all. This year, I'm going to switch things up a little bit. My Christmas blog's theme for 2018 is "The Season of Advent." As someone who is very spiritual, I find it important to delve deeper into this season, not only for the joy Christmas brings, but to use this season as a time of reflection on the year and what this last month can hold. Today, December 2, 2018, is the first Sunday of Advent. For some people this means they can open a little door on an Advent Calendar and eat a small piece of (not so great) chocolate, for others this means lighting a purple candle on an Advent Wreath marking the first of the four Sundays of Advent. For me, Advent means both of those things and more. This last year I have delved much deeper into what my faith means to me, and how I choose to live my life based on my beliefs. I've worked at making it my own experience and fusing together what my faith has taught me over the years and also the morals I find important as a human being in 2018. This first Sunday of Advent, we light the first purple candle on the Advent Wreath. As a child, growing up in Catholic school, this was always a fun activity for each Sunday of December, but I never fully paid attention to the significance of why this tradition existed and what it meant. The first purple candle is the Prophecy candle and signifies Hope. I've been researching how this time of preparation for the coming of Christ, my Savior, is related to the candles we light on the Advent Wreath, which has provided me with clarity and also reflection questions. This first candle is meant to signify the Prophecy that God was sending the earth His one true Son to save all of us and that He is coming soon. The color purple is often associated with prayer and penance, which is perfectly fitting since Advent is a time of reflection and waiting. With waiting for Jesus' first coming, we are filled with Hope that the Prophecy will be fulfilled. Whether your spiritual beliefs are the same as mine or different, lighting this first Advent candle is a symbol of Hope that we are casting a light in the darkness of our lives. Whatever your beliefs, whatever you may be going through at this moment, there is a light in the darkness. For me, my light in the darkness is Jesus, who is also referred to as "The Light of the World." Whenever I am overwhelmed, struggling, in pain, stressed, angry, or upset, I turn to Him and His teachings to guide me away from negativity and self-doubt and lead me towards Hope. This Advent season I encourage you all, whatever you celebrate or believe in, to use this month of December as a time of reflection. What did this last year offer you? Are you content with what the year has given you? What are some ways you can slow down, enjoy living in the moment, and be fully present? Reflect on what ways are you going to use the blessings and gifts you have been given to better your life, and the lives around you in the coming year. It's never too late to find your inner light or to help others see the light inside of them. The time has sadly, but understandably come for this holiday season blog to end. 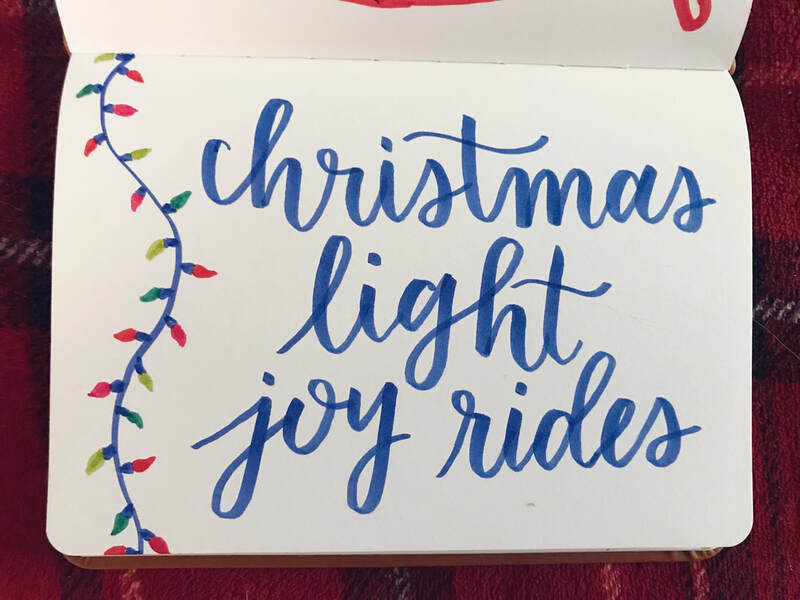 I hope all of you who have been following along have enjoyed my first blog and that it helped you to find joy in your own traditions this Christmas season! Although this is the end of the Christmas season, it is a time for new beginnings. As we enter into the new year I am hoping and praying for the world to be a more loving, understanding, objective, open-minded and peaceful place. I am hoping for a sense of inner peace for myself and for the strength to allow myself to slow down and live more in the moment and less focused on only the future. I hope and pray for more growth with my business in the coming year, and that the new year brings immense inspiration in my art practice. I hope all of you enter into this new year with a sense of purpose, of hope, and with love for anyone and everyone no matter what their surface appearance, gender, race, spiritual beliefs or where they are from. 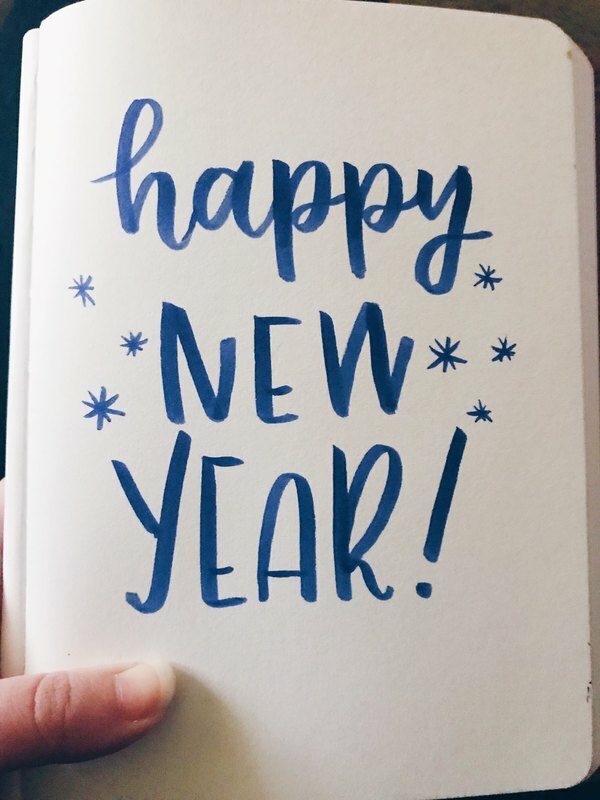 Here's to 2018 -- a year that I hope will bring more love and happiness to everyone. December 30th -- Snow ! I love snow in moderation. I think it is the most beautiful thing to watch snow fall in fluffy piles from the warmth of being inside my home -- it is so peaceful and relaxing. However, I like snow if it's a few inches, not when it's several feet and makes traveling dangerous. I do believe, for myself, that it's not really winter or Christmas without snow. I'm sure winter and Christmas are beautiful and special without snow, but because I've always lived somewhere that experiences every season, it's what I'm used to. This year, I'm really into snow because the snow we've had in this part of Jersey has been minimal and beautiful. 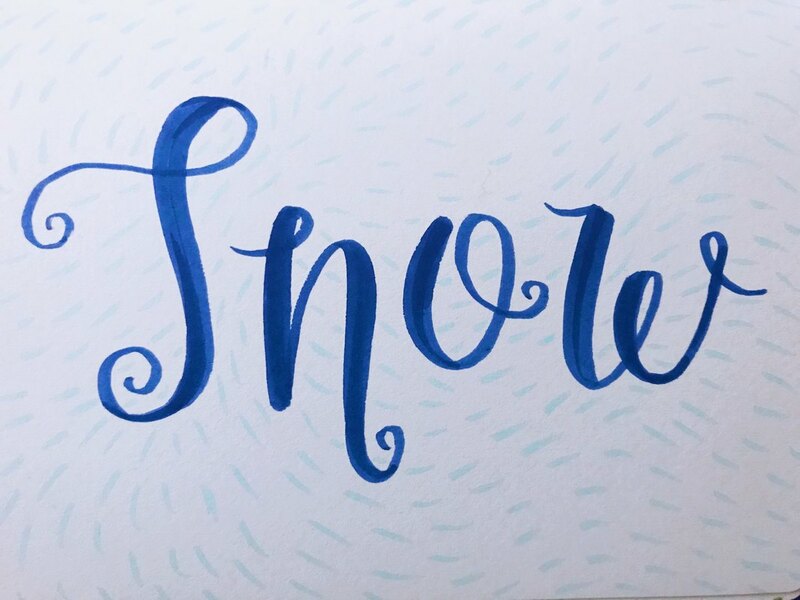 It snowed today even, for the second time this December! Snow is a pretty controversial subject in my house, as my dad refers to it as "white stuff from hell," but we definitely don't all see it this way, and I don't believe that he even feels that way all the time. Snow will always be something I associate with the Christmas season, and I think they say it best in White Christmas -- "snow, it won't be long before we'll all be there with snow, snow, I want to wash my hands, my face and hair with snow." 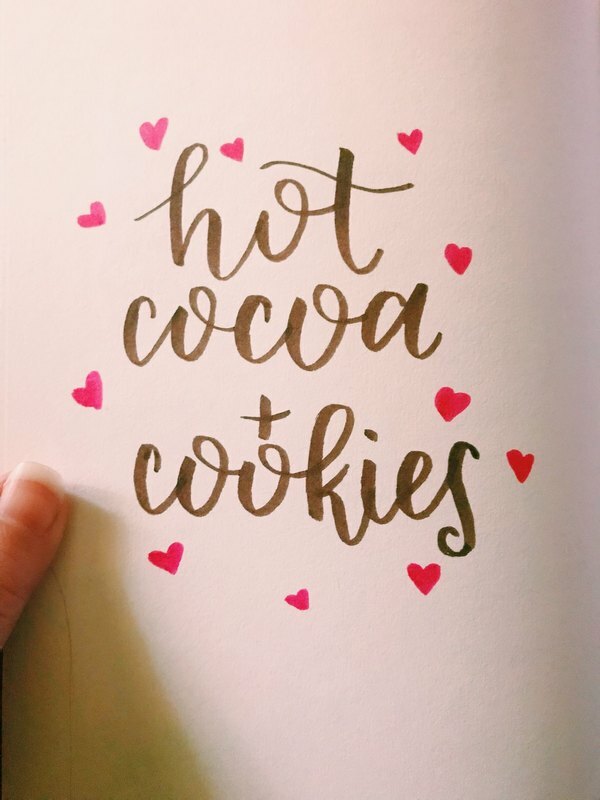 December 29th -- Hot cocoa + cookies ! Tis' the season for a lot of things but especially hot cocoa and cookies!!! I've posted more in depth on a past day about all the different kinds of cookies I baked as a kid with my mom and grandmother and the cookies my boyfriend and I enjoy baking together now. I have yet to discuss my passion for hot cocoa though, so buckle up! I love all things chocolate (except white chocolate because it's not real chocolate) so it's no surprise that I freaking love hot chocolate! I love all kinds whether it's from Dunkin Donuts, Ghirardelli, Swiss Miss, you name it I most likely love it. I personally prefer my hot cocoa to be made with hot water (I can't have dairy, but it also just doesn't taste the same with dairy-free milks) -- I also love to throw a little dash of cinnamon in too as a little extra holiday pazaz. Of course, around the holidays you can't only have hot cocoa without some kind of tasty treat -- my go to is always cookies. Baking and decorating cookies is fun, but let's be honest here -- eating them is the best part. All in all when it's cold as heck outside all you really want to do is nest inside, and what better way to do it than with a big mug of hot cocoa and a couple of delicious cookies. Every year growing up I always found an orange and a quarter in the toe of my Christmas stocking. This probably sounds crazy and random to those of you who don't know the meaning behind it, but I'll get into that in a bit. This is a family tradition that my mother grew up with as a child as well -- a tradition that will also continue in the future when my siblings and I have children. Of course we always received other small treats and gifts in our stockings as well, but these two things made an appearance every year. For generations my family has continued on this tradition to bring us all back to the classic ways and true meanings of Christmas. We always receive an orange, because some stories say the gold melted into a ball from being hung over the fire, and a coin to remind us of the gold. 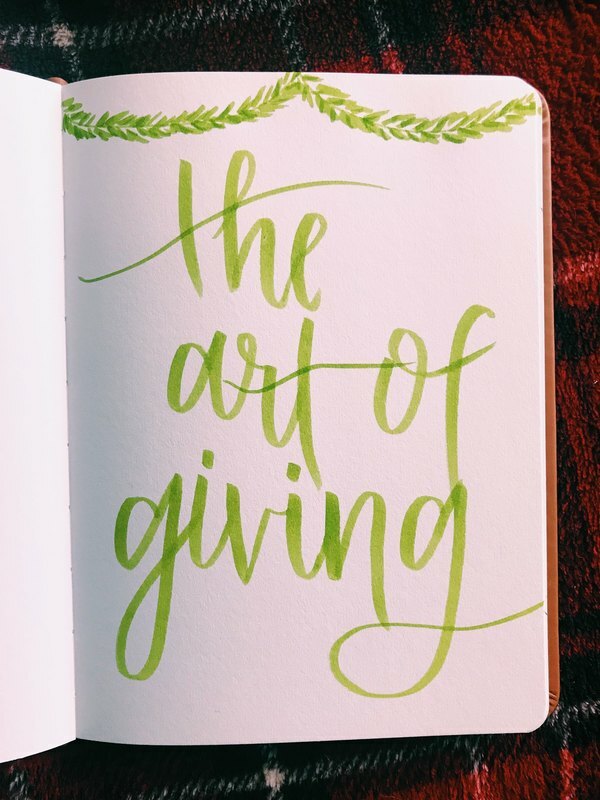 I love this tradition because it helps -- especially children -- to understand how to give selflessly, that giving is more important than receiving, and that it's the thought behind a gift that matters most. I know Christmas was yesterday, but Christmas season is not over yet! 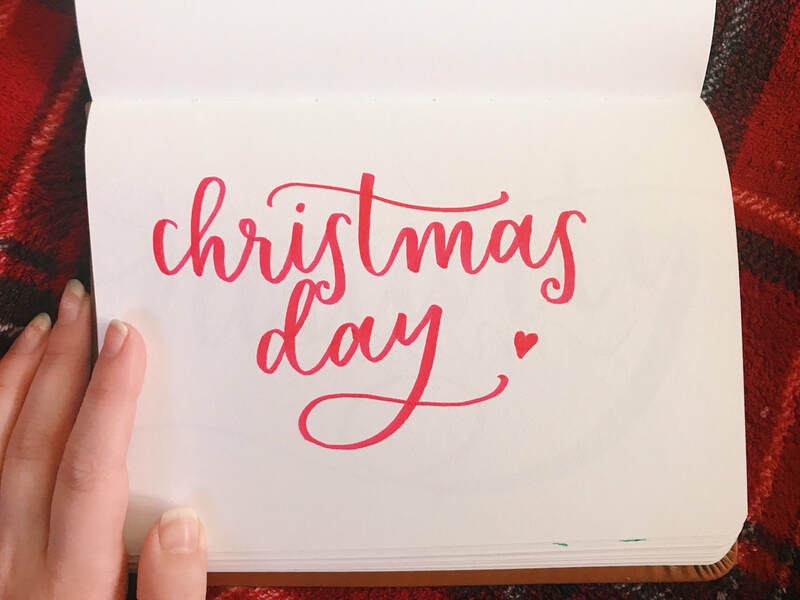 This blog is going throughout all of December, so buckle up for a few more days of posts! One of my favorite things about Christmas is picking out gifts for people. I seriously love gift giving -- I will not get something for someone unless it makes sense for them personally. Every gift I give has to have a little bit of the persons personality in it. I am going to share with you about my two favorite gifts I gave this year, with the most meaningful reactions. First up is the gift I gave to my boyfriend. This served both as a Christmas gift and anniversary gift as we are approaching our 4 year mark in the beginning of January. I gave him a The Night Sky print customized to show the night sky from his house on the day he asked me to be his girlfriend just about 4 years ago. He is a science man and has always love space, so this was the perfect combination of something he loves with something sentimental. We've been talking about painting a wall of his room like a galaxy for years, but have never gotten around to it, so for now this will be a way for him to still have what he's been wanting for so long. He had never heard of something like this, which made the reaction all the more exciting, which truly made my heart so happy to see him so happy. Next up are my parents. This year my siblings, our significant other's and I decided to all go in on really awesome Rockettes tickets for my parents. They always spend their time putting everyone before themselves and don't usually have a lot of time to just spend alone together. My dad hasn't seen the Rockettes since he was a kid and my mom hasn't in many, many years either. They both absolutely love Christmas and have always wanted to see the Rockettes together, so this year is the year! They're actually in New York right now about to see the 2pm show. We all knew they would love and appreciate this gift, and even though we know how emotional my mom is, we were not expecting her to burst into tears because she loved it so much. My dad was so happy too, you could just see it in his smile. This was one of the most meaningful gifts I have ever given because of the immense joy it brought to my parents -- two people who always give so selflessly. There is no better feeling than seeing the people you care about most in the world so genuinely happy. The time has finally come!!!!!! The most joyful day of the year! Everything has been leading up to this, and I sure do have a lot of traditions from my family to share with you. Let's start with Christmas morning -- my parents always prepare a big celebratory breakfast which included my absolute favorite people in the world. This year Christmas morning consisted of my parent, sister and brother-in-law, brother and his girlfriend, two friends who are more like family, my boyfriend and myself. To put it simply, there's a bunch of us in our kitchen enjoying each other's company and having amazing food and peppermint coffee. I should mention that as soon as everyone woke up my dad started blasting Christmas music. After breakfast we all open presents and they are always so meaningful and perfect for each person -- my family really knows how to give with a personal touch. After we open our presents, the dogs get to open presents too, before we all get ready to head out to our massive family celebration. This year we went to my cousins house on my mom's side and let me tell you -- there are a lot of us. I always love getting together with my whole family Christmas day because it is such a happy time, plus I've already talked about how amazing the food always is when my family gets together and Christmas is no exception. This year, instead of ham as the meat we had steak tips and oh wow were they freaking amazing! I can't even go into how insanely good dessert was because I don't know if I could put it into words -- let's just say I had a hard time deciding what I would have without stuffing myself into a food coma. At the end of the day, there is no better way to spend Christmas other than with the people you love. Even with a bunch of terrible things and all the hatred in the world, Christmas is one day where we get to put all the struggles on hold and just enjoy each other's company and catch up and laugh and eat together. I've mentioned that my family is extremely close, and I wouldn't give that up for anything. I hope that no matter where you are and whatever you celebrate, you had a relaxing and joyful day full of love, peace, and great food. I can't believe it's already Christmas Eve!!!!! I'm excited to say the least. There are a few small traditions my family always has on Christmas Eve: eating Chinese food for dinner, wrapping gifts, and going to midnight mass. We started integrating midnight mass into Christmas Eve when I was a freshman in highschool and I honestly can't believe that was my first year ever going. 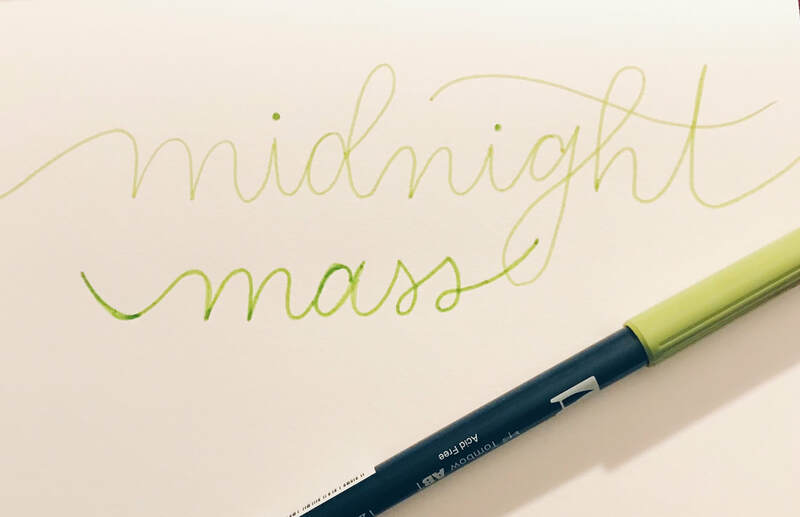 Midnight mass is special because it's a different arrangement than all the other Christmas masses for the season. The mass at midnight begins the full story of Jesus' birth. At the beginning of every midnight mass the half hour before is spent listening to the churches choir sing classic Christmas carols. Once mass is ready to begin, the Knights of Columbus process up the aisle with instrumentalists playing trumpets and horns while the choir sings. A moment later the priests, deacons, eucharistic ministers, lector, and altar servers process up the aisle with our Monsignor holding a baby Jesus made of olive wood. 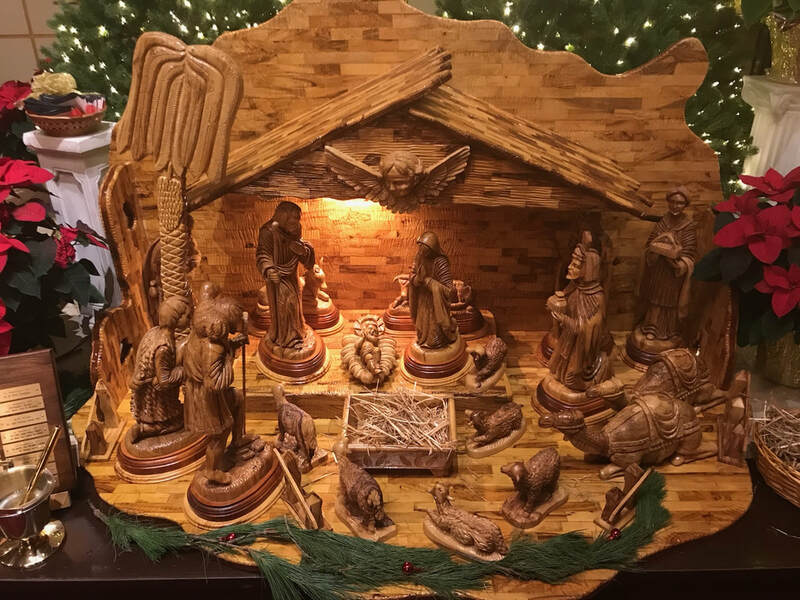 Instead of going right to the altar, Monsignor lays baby Jesus in the rest of the nativity scene as the entire church sings Silent Night. I don't know if this same thing happens at every church for midnight mass, but this is my favorite part. It's so special and peaceful to watch the head of our church lay Jesus in the nativity scene with the entire church congregation uniting to sing the beautiful song that is Silent Night. Tonight was a special midnight mass for me because I felt my grandpa's spirit very strongly there with my parents and I tonight. 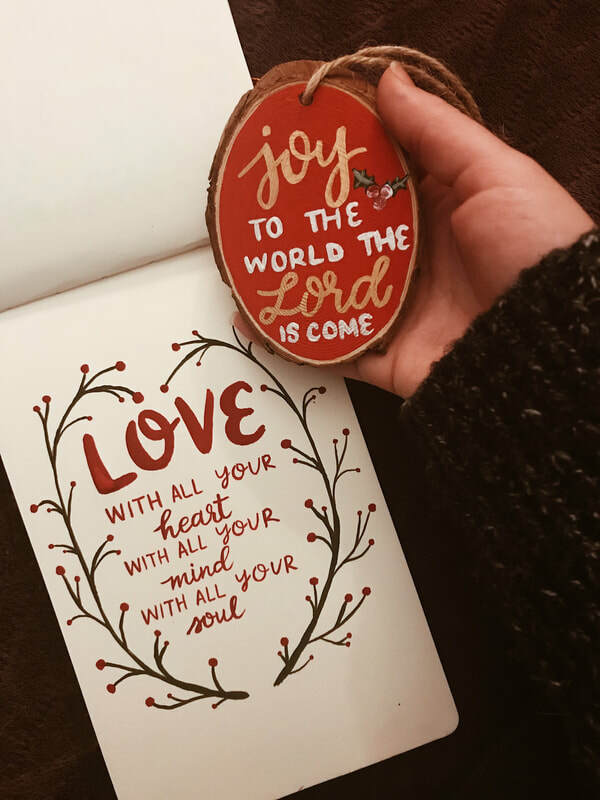 I felt an extra sense a peacefulness and calmness that I have so desperately needed lately -- maybe that sense of peace is his gift to me this holiday season.